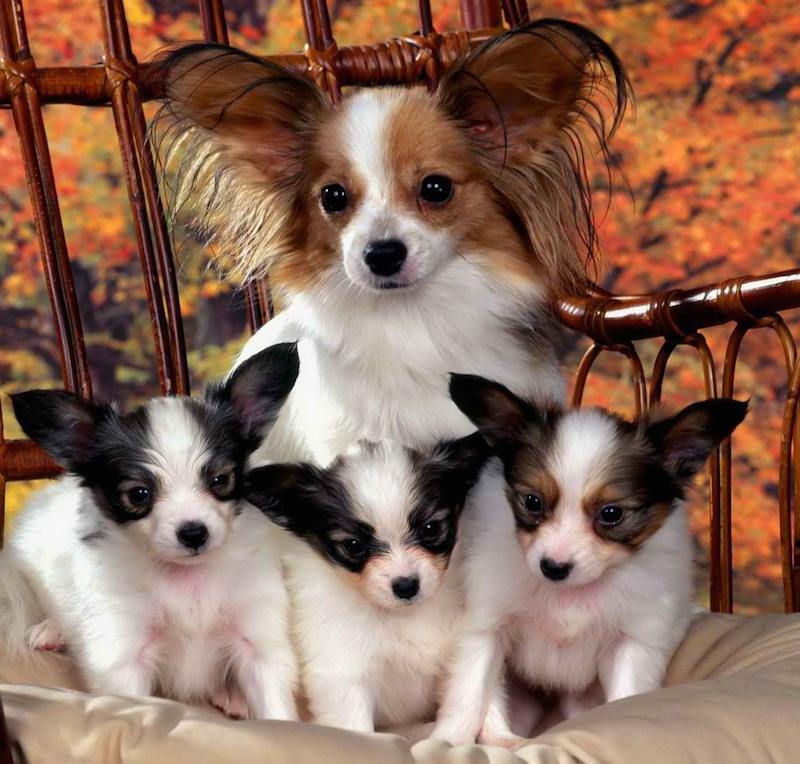 Papillon (Butterfly Dog) is a small, elegant, happy, alert and friendly toy dog breed. 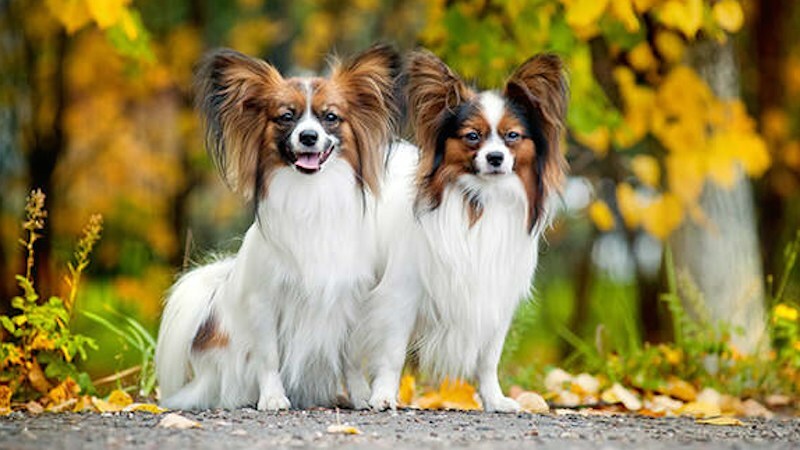 The first Papillons may have been Spanish (Spaniel) or Italian. 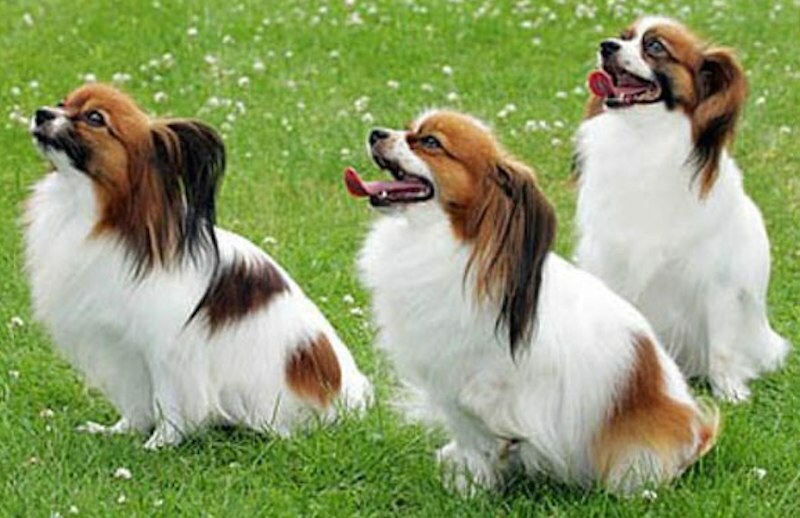 Today, both the French and the Belgians claim the breed. 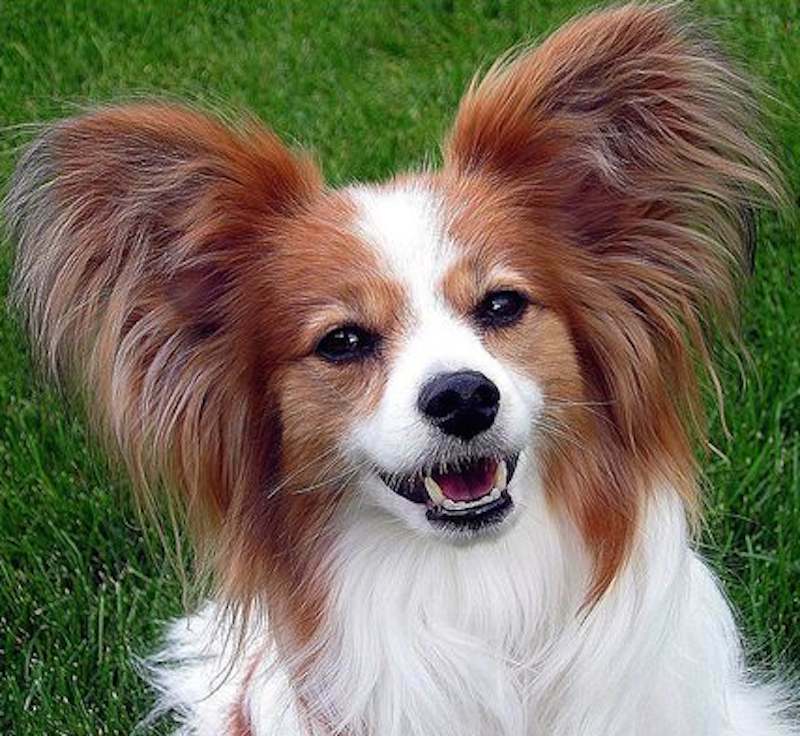 Since the Renaissance, no known cross has been used in its development although two or three other breeds probably trace their ancestry in part to the Papillon. It is one of the oldest purebred Toys, seen in the company of 17th and 18th century Royal children and ladies at court in paintings of the Old Masters. Size: Ideal height at highest point of shoulder blades, 8-11 inches (20-28 cm). Weight is in proportion to height. Fault: Over 11 inches (28 cm). Parti-colour: White with patches of any colour. 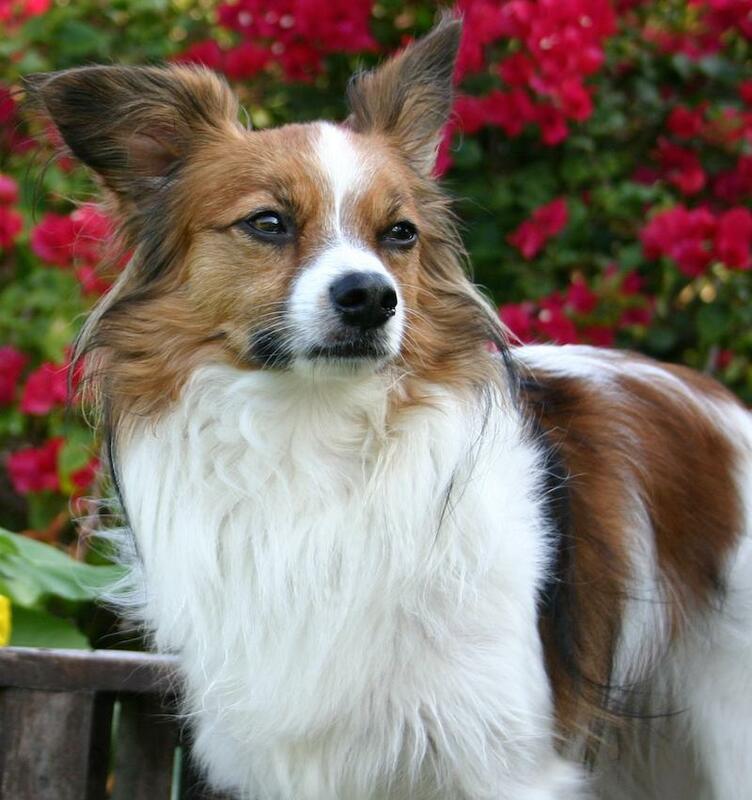 Tri-colour: black and white with tan spots over eyes, inside the ears, on cheeks, and may have tan under root of tail. On the head, colour other than white must cover both ears, back and front, and extend without interruption from the ears over both eyes. A clearly defined white blaze and nose band are preferred to a solidly marked head. Symmetry of facial markings is desirable. The size, shape, placement, or absence of patches on the body are without importance. 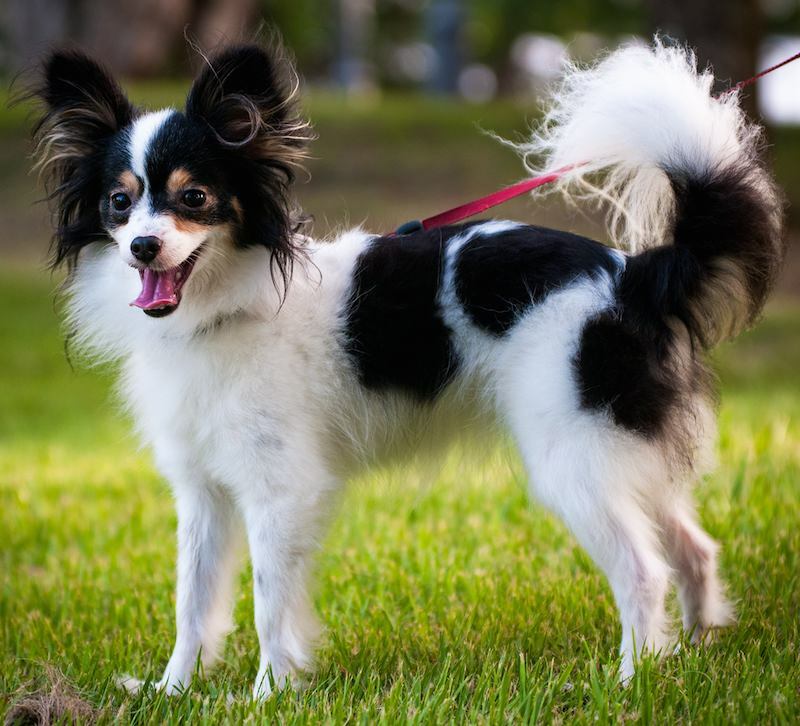 Papillons may be any parti-colour, provided nose, eye rims and lips are well-pigmented black. Among the colours there is no preference. Body: Must be slightly longer than the height at withers. 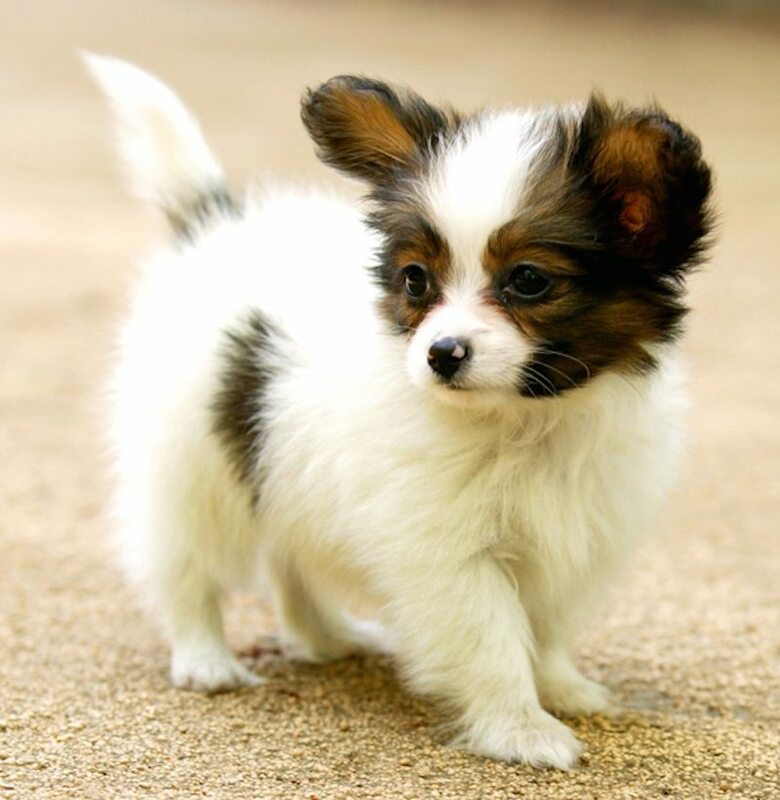 It is not a cobby dog. Topline straight and level. The chest is of medium depth with wellsprung ribs. The belly is tucked up. Hindquarters: Well developed and well angulated. Hocks inclined neither in nor out. The hind legs are slender, fine-boned, and parallel when viewed from behind. Dewclaws may be removed from hind legs. 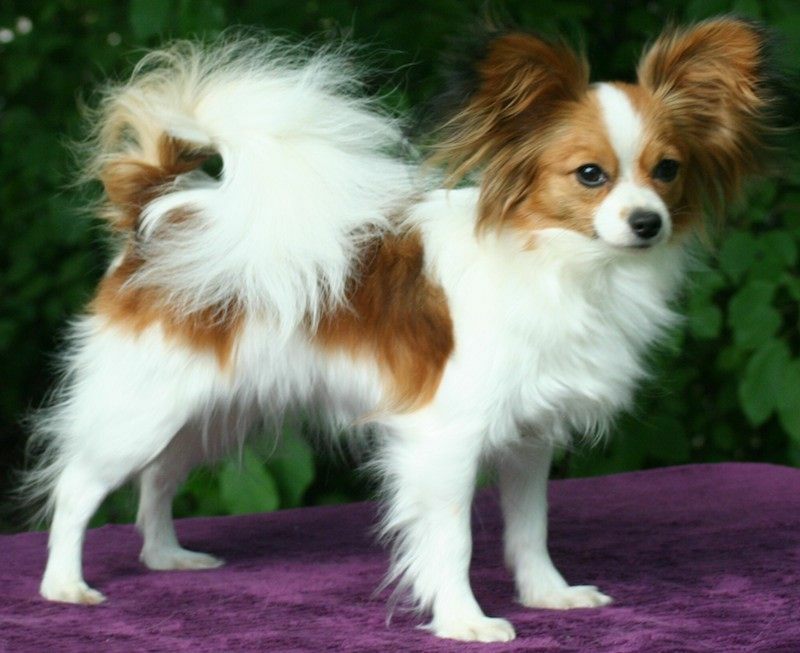 Disqualifications: Height under 8 inches (20 cm) or over 12 inches (30 cm). ; An all-white dog or a dog with no white.